Quality Used Tires -- in stock now! Smart Tire Purchasing for the New Economy. All tires Graded, inspected, & in inventory! Why purchase new tires when you can buy the same tire used for a fraction of the cost? Our price.... just $140.00 for the set! cases auto recyclers sell their used tires in bulk to wholesale used tire dealers so they don't have to deal with them, forcing you as the consumer to deal with middle men who raise the price so they can pay their overhead and make a profit. Here at Laurens Auto Salvage, we NEVER sell our used tires to middle men or used tire dealers. We prefer to inspect, dismount, grade and sell our tires to local consumers right here in Upstate South Carolina. Eliminating the middle man and allowing consumers to deal directly with the source for used tires allows you to save money, and in this economy that's just good economic sense. So just how much money can you save? A typical set of 235/75/15 Michelin LTX tires costs upwards of $600.00 per set new. When we have these tires in stock, our price would be just $150.00 for the set.... and that's an almost new, "Grade A" set with 75% or more tread remaining! That's a savings of $450.00! What could you do with that much extra cash in your pocket? 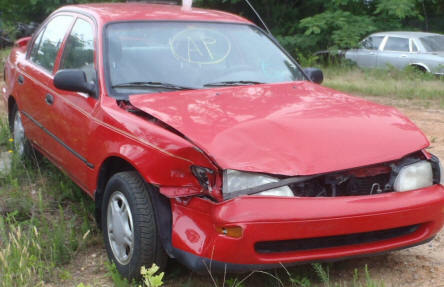 Another example is the picture on the right, which is 1996 Corolla that came in with brand new Pirelli P4 185/65/14 Tires. At online discount tire stores, these tires cost $320.00 for the set. Our price........ just $140.00! In addition to complete sets of grade A tires, we also sell individual tires if you're just looking to replace one or two tires on your vehicle. FIG. 2 - Perfect Example of a Rejected Tire. When we started putting our used tires in inventory 5 years ago, we found that a used tire grading system didn't exist. So we decided to create a simple system that groups our used tires in three primary categories based on the percentage of useable tread remaining on the tire. The tire grading table to the right shows the three categories we use for gradeing; Grade A, B, or C. An "A" rated tire is nearly new and has between 75% to 100% of it's original tread. A "B" rated tire has between 50% to 74% of it's original tread. A "C" rated tire has between 30% to 49% of it's original tread remaining. Tires with less than 35% tread remaining are considered too worn to put back on the road. Any tires that are cut, abnormally worn, show any signs of dryrot, or have less than 30% of their original tread remaining are not sold to the public. The old tire in Fig. 2 at left is a perfect example of what can go wrong with a used tire. 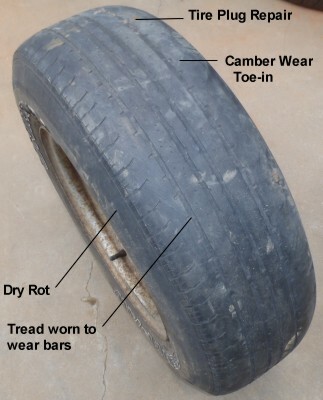 This tire shows abnormal camber wear (inproper toe-in adjustment), has dryrot starting on the sidewall, has an old tire plug in the tread, and is worn past the wear bars. Some places might try to sell a tire like this, but any tires we inspect that have ANY of these problems are rejected fore resale. Rejected tires are shredded and recycled into new tire rubber based products, and the steel belts are separated and recycled along with other ferrous (iron-based) metals. For our local retail customers we offer mounting & balancing on all tires we sell for just $12.00 per tire. Due to the extremely high demand for these tires we install them by appointment only. So before you go to your local tire store, CALL US FIRST to potentially save hundreds of dollars on your next tire purchase. Hundreds of used tires in stock! All tires inspected & graded. Used tires from $10.00 and up! Many complete sets (sets of 4) available! 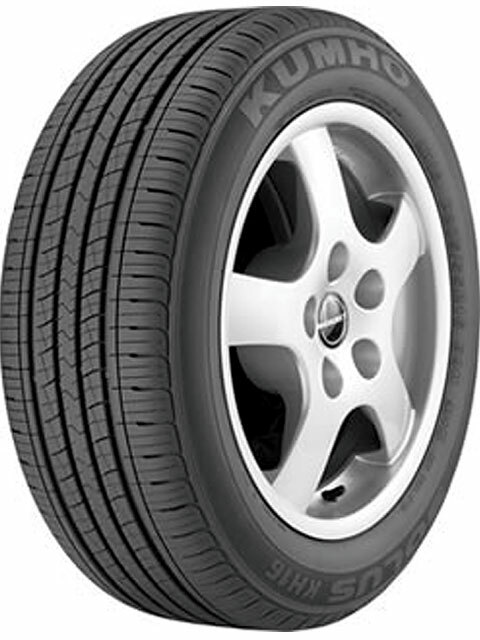 Top-of-the-line name brand tires at a fraction of the cost! to save on used tires now!